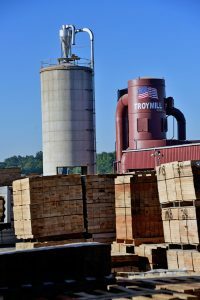 Located in the heart of the Amish community of Middlefield, near Cleveland Ohio, Troymill is one of the largest pallet and lumber companies in the Midwest. From wooden pallets and boxes, to crates and grooved stock, to a huge inventory of hardwood, yellow pine and spruce lumber as well as top quality finished and specialty products, we deliver you the reliability and service your business requires. We Got Wood: Troymill customers know that their pallet, lumber, crating and specialty needs will be met, 365/24/7. 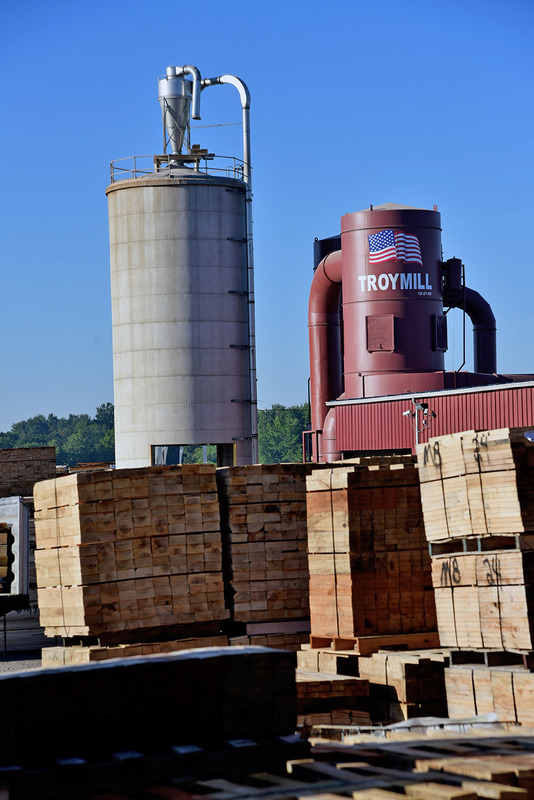 Troymill covers nearly 50 acres of land with in-stock lumber, which allows for expansive inventories of raw materials. By ensuring an uninterrupted supply of product, even during periods of lumber shortages, our customers can rely on price stability not available anywhere else. Additionally, we have become well known for our ability to provide large scale, just in time shipments to a variety of industries. At Troymill, we continuously invest in new technologies to enable greater flexibility, automation and improved solutions for our customers. Our 40,000 sq. ft. sawing facility houses the latest in automated saw technology and enables us to produce high volume, high quality products. We produce pallet stock using the latest equipment from leading brands including Baker, Brewer and Keystone. Designed to treat high volumes of pallets and other wood products to ISPM-15 specification, our facility can provide you with pallets and lumber for export that meet internationally recognized standards. Our twin Viking 505 Turbo High Speed Nailers can produce high volumes of pallets meeting your exact specifications. Pallet after pallet, these machines deliver quality wooden pallets without the worry of defects. The Viking 505 Turbo High Speed Nailer has 2, 3 and 4 Stringer Capability with a 1,600 pallet per day capacity. In addition, Troymill operates a 5 stringer capable GBN nailer that has been customized to our exact specifications. With these three machines, as well as our hand assembly teams, Troymill produces more than over 40,000 pallets per week. Troymill pride means integrity, hard work and exceptional service each and every day, for each and every customer. Above all else is our concern for quality and care taken in everything we do. Every member of the Troymill team, from management and foremen to our Amish craftsmen, takes their performance to heart and seeks new ways to better serve our customers. Only by taking immense pride in every aspect of our work can we build and maintain strong, long-lasting relationships with our customers, suppliers, and employees.